SRA Developments are a leading innovator of ultrasonic medical devices. I carried out a detailed non-linear 3D surface contact Finite Element Analysis (FEA) for an assembly of titanium and glass fibre reinforced nylon parts. 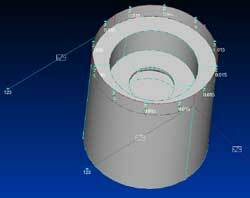 An initial prototype for a new part had been produced by stereolithography, this part was not able to withstand the stresses incurred during normal use. Initial calculations suggested that a glass fibre reinforced nylon part might have the required strength. Considerable expense would be committed in tooling before the full strength part could be tested. I was contracted to carry out FEA analysis to determine if the part would have the required strength. The first stage of analysis looked at the entire structure to determine the approximate levels of stress under normal use and the location of stress concentrations. A more detailed localized model was then created for the area of concern. 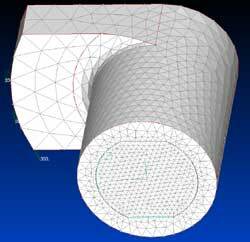 An initial mesh was created for the localized model and a linear analysis was run. This mesh was then refined a number of times and the values for the maximum tensile and compressive stress were plotted against element count to show mesh convergence. It was found that the value for the maximum tensile stress around the outer edge of the socket converged. This means that as the element count was refined the value tended towards a constant value. The value for the compressive stress did not converge. This is what might be expected. 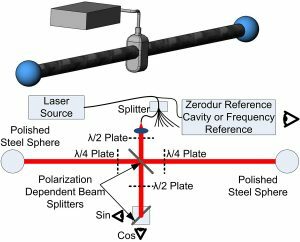 The linear loading creates a theoretically infinite stress along the lines of contact between the inner waveguide and the outer socket. As the mesh density is increased so the maximum stress increases. multiplied by the contact stress is equal to the contact force. 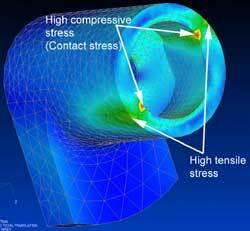 of tensile stress on the outer circumference of the socket. The first step in setting up this model for a non-linear analysis is to stabilise it using weak springs. This is important so that the full dynamic behaviour does not need to be modelled as the components initially move into contact. Next the boundary surface contact elements were created by setting up contact pairs. The outside surfaces were set to master to prevent surface normal errors. 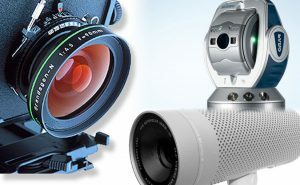 The analysis was run many time in order to obtain convergence of the mesh density and a number of other non-linear parameters such as stability spring stiffness and penalty spring stiffness factor. The solution time was optimized by specifying activation distance for contact element generation to a value slightly greater than the maximum expected slide. The results indicated that a titanium insert would be required to obtain a reasonable service life. The suggested modification was made and the product was a success.